Being on the music staff at the Royal Opera House means wearing many hats. One moment Jette Parker Young Artist Jonathan Santagada may be coaching singers, the next playing piano in rehearsal or conducting off-stage musicians through a performance, as he is currently in Richard Jones’s production of Il trittico. ‘I move around a lot, there’s this one point where we only have five seconds to go upstage from down stage’, says Santagada of his off-stage conducting duties. Jonathan was born in Italy and grew up in Turin, where he started to play the piano at the age of five, though his first brush with opera didn't win him over. From there, Jonathan won a place at Giuseppe Verdi Conservatory in his hometown, before moving to the Lyon Conservatory and studying conducting privately with Marco Boemi in Rome. In 2014 he joined The Royal Opera's Jette Parker Young Artists Programme as a conductor and répétiteur. Young Artists are employed as salaried members of The Royal Opera over a two-year period, during which time they are immersed in the life of the Royal Opera House to help them form their own artistic identity and give them guidance on their trajectory through the business. During his time at the Royal Opera House, Jonathan has shadowed some of the best contemporary conductors including Ivor Bolton in his beloved Le nozze di Figaro, Andris Nelsons in Der fliegende Holländer, Maurizio Benini in Rigoletto, Yves Abel in La traviata and Nicola Luisotti for Il trittico. One highlight for Jonathan so far has been working closely with Music Director of The Royal Opera, Antonio Pappano. Preparation is key to becoming a professional conductor: ‘I spend hours studying scores. It’s the only way to know the work inside out’. Jonathan has been set quite a challenge - by the end of this Season he will have worked on eight productions in less than a year. 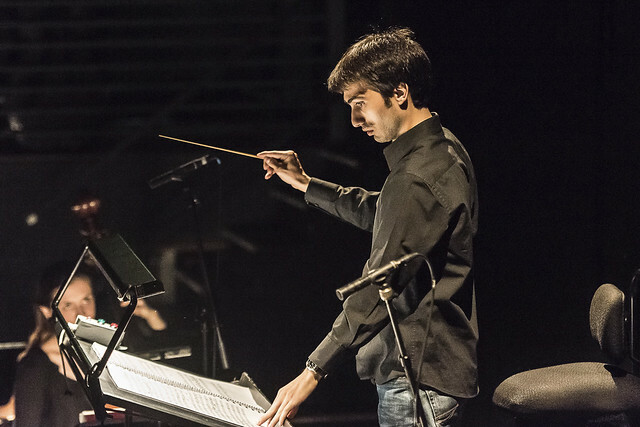 In addition to assisting senior conductors, Jonathan has also had the opportunity to conduct Southbank Sinfonia in two very different operas in the Linbury Studio Theatre: La scala di seta and The Lighthouse. Last Summer, he conducted the Welsh National Opera Orchestra in the overture to the summer performance on the main stage and this summer he will conduct the Orchestra of the Royal Opera House an excerpt from Eugene Onegin. As Jonathan's repertory continues to expand, he feels more passionate than ever that there is something in the art form for everyone. Good for you, Jonathan Santagada! Maestro Pappano is the best opera conductor for Italian operas. Maestro Jurowki and Maestro Noseda are very very good, too. Good luck to you!